You are here: Home / News / Thirty-One Reason why the Clark County Family Court System is Corrupt! Thirty-One Reason why the Clark County Family Court System is Corrupt! If you are not outraged ~ you are not paying attention. Please come help free our children from court ordered abuse, free parents from civil rights violations and insist that “We the People” know how to raise our children better than judges, therapists, evaluators, etc. 30) judges who allow relocation without cause. Judges that fail to understand that every litigants that walk through the courtroom doors are their employer. Clark County tax dollars pay their salary and everyone that works for Clark County Family Court System. If you are disgusted as we are unite with us and join us in solidarity on Friday June 23rd, 2017 from 8am to 11am in front of the Clark County Family Court 601 North Pecos Road at the corner of Pecos and Bonanza. Bring your signs and your friends, we will supply the T-Shirts. Lets stand up together. Its time for the “Best Interest of the Children” This destruction of families has to STOP! 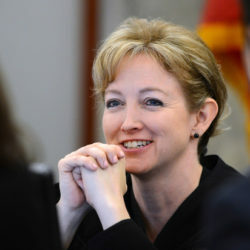 Clark County Family Court Judge Guilty of violating State Law! Family Court Judge orders children to be locked up; is this the best interest of the child? 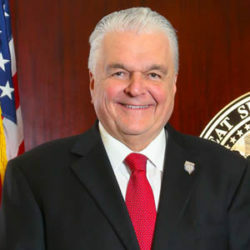 VIPI sends letter to Nevada Governor to Veto Assembly Bill 43, deny the creation of six more family court judges! Veterans In Politics, International, Inc. is a 100% volunteer organization. We have no regular source of funding. All the costs for printing, banners, parades, political interviews, video editing, posting, website maintenance, and countless man-hours of research and hands-on relatinship building are supplied by the VIPI volunteers. All the VIPI efforts are to keep the public educated and involved in our political process. Please help us help you by purchasing VIPI merchandise, or making a generous contribution.